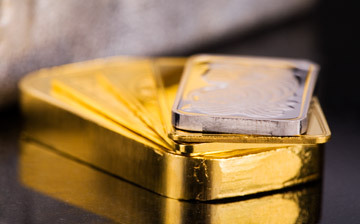 (Kitco News) – After four weeks of selling, hedge funds jumped back into the gold market and pushed prices to a 5.5-week high, according to the latest trade data from the Commodity Futures Trading Commission. The data show that the gold market saw its most significant shift in bullish sentiment in nearly two years. Gold’s net length jumped 45% from the previous week. The strong buying momentum pushed prices up by more than 2% during the survey period, hitting a five-week high. According to many analysts, a perfect storm hit the gold market as the Federal Reserve signaled that it was in no hurry to raise interest rates, and investors fled to safe-haven assets due to rising geopolitical concerns and the growing threat of a trade war. “Gold specs aggressively increased their net length as Fed [Chair Jerome] Powell delivered a dovish hike, which gave bulls the ammunition needed to pile on longs, while shorts were forced to cover, as the yellow metal rallied some $50/oz in the aftermath of the hike,” said analysts at TD Securities in a report Monday. George Gero, managing director with RBC Wealth Management, said that the weeks of lower prices, coupled with falling open interest, represented the perfect opportnity for bargain hunters. He added that he expects hedge funds to continue to buy gold. While investors were buying gold, they were ignoring other precious metals. During the survey period, the gold/silver price ratiocontinued to trade near a two-year high. Analysts have said that the rising ratio is a sign that investors are more interested in safe-haven assets. While silver is considered a monetary metal, it does have a significant industrial market, which also makes it a cyclical commodity. The disaggregated report showed money-managed speculative gross long positions in Comex silver futures fell by 611 contracts to 31,988. At the same time, short positions fell by 2,180 contracts to 66,252. Silver’s net-short positioning now stands at 34,264 contracts, relatively unchanged from the previous week. Despite the weak bullish sentiment among fund managers, silver saw solid gains, with the price rising 2% during the survey period. While silver has been a disappointment for many investors, some analysts continue to see a potential for the white metal. “The bullish precious metals sentiment highlights the potential for silver to outperform this year as spec positioning continues to make record lows,” TDS said. Previous articleWill Rising Gold Hurt Stocks?